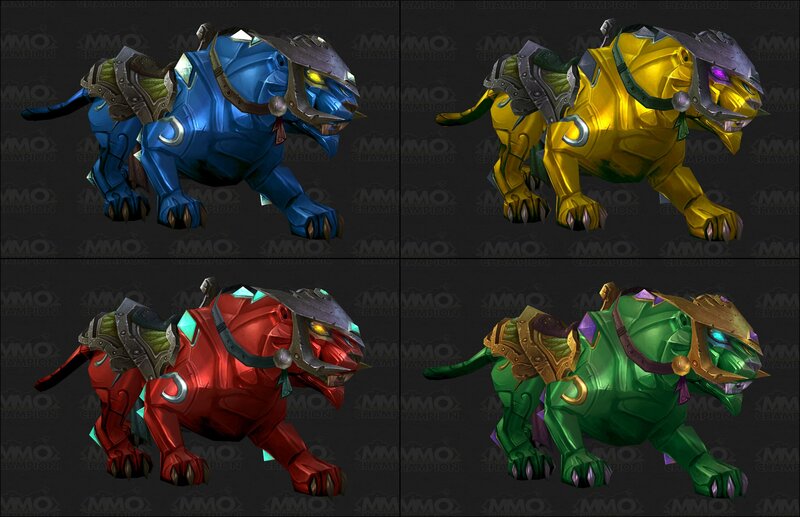 One of the new craftable mounts by jewelcrafters, the other ones being Rubinpanther,Sonnensteinpanther and Jadepanther. Go go gadget pegasus cat! Flying panthers...my life is complete. I just bought this last night for roughly 38,000 gold. I think it's awesome, but I would love to see the wind stream not active while it's on the ground and only while it's in the air. so what is the absolute minimum cost that a jc can make a panther at? Every time you move forward or strafe with this mount, it roars. Neat feature if you enjoy it, quite annoying if you don't. Once you get exalted with the Cloud Serpent folks, you can buy all the recipes to make all the colors, including the onyx panther. The best way to do this, is to have a maxed out miner/JC and a maxed out herb/alch both exalted with the Tillers. This makes the only cost to this the orb itself (and some enigma seeds... And snakeroot seeds if you're lazy and don't want to farm ore to a great extent). The miner mines both ghost iron and trillium (when a node is found that is), and smelts them into bars. The alchemist then transmutes the ghost iron into trillium and the trillium into living steel. 10 ghost iron = 1 trillium and 6 trillium = 1 living steel. There is a day cap on the living steel transmute unless you have discovered the recipe that allows you to transmute it using spirits of harmony (if you have any, I maxed my alch at level 83, lol). The JC will also have to prospect ghost iron to get the shards to make the serpent's eyes, very easy to do. The gems from this prospecting (excluding roguestone and the orange one) that are green quality will be sent to the alchemist. The alchemist will then transmute the green quality gems into the blue quality gem color required for whichever panther you're wanting to make (River's Heart for example since we're talking about the sapphire panther). Having exalted with the Tillers comes into play because you can use the enigma seeds to get the golden lotuses required to transmute each green quality gem into a blue quality one. Being able to plant enigma seeds on both characters increases your chances of getting more golden lotuses per day. These mounts are very nice - Great maneuverability, compact for a flying mount, very attractive, and can be ridden by anyone level 40 and up with riding or flying skill. It was well worth grinding my tail off to get the stuff to make one (and of course, my favorite color is blue). Defiantly the best looking one in my opinion, I don't see alot of sapphires but I see alot of ruby ones. Going for around 30k on the AH on my server, Got all the mats myself costing around 20k then tipped a JC 3k. if its on your AH for any-more then 24k probably not worth it might as well get the mats yourself, The vendor big keech which sells the most expensive item being the orb, is a goblin and quite easy to find usually on the eastern road near the golden pagoda.